I love hosting blog guests who are real experts on the topic they are sharing. Who better than someone who has planned and run successful book fairs for several years running to tell you how to make it worth your while. And now is the time to make one of these fairs--especially Meet the Authors Book Fair--work for you. Inexpensively. People do business with people they know. This is why networking is essential for authors while at a book fairs, doing back-of-the-room sales, having a book launch, giving a book talk, or making a presentation. 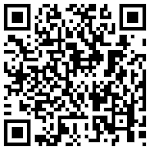 Collect business cards for future contact and to create an email list. Give out business cards to every person with whom they speak. Stand, make eye contact when approached, and smile. Engage in conversation with a positive comment about the event, facility, food, etc. Listen actively for what is important to the other person. Inquire about their reading habits and interests. Talk books, ebooks, audio books, large print books. Ask about their favorite book or author; tell about yours. Talk about your books. Use your 25 word pitch. Be a volunteer at the event to meet and engage with more people. Be a matchmaker and introduce those with common interests. Follow up with an email after the event about something of interest to them. If you stay comfortably seated at your book display table, head down, reading or eating, with no eye contact, it is like putting out a “DO NOT DISTURB” sign. Passerbys will feel they are an intrusion on your time. They will keep on walking and you will have few, if any, book sales. Think Perpetual Promotion when given a networking opportunity. You must Tell to Sell! MORE ABOUT OUR GUEST BLOGGER. SharingwithWriterblogger is Carolyn Howard-Johnson. She is the author of This Is the Place; Harkening: A Collection of Stories Remembered; Tracings, a chapbook of poetry; and how to books for writers including the award-winning second edition of, The Frugal Book Promoter: How to get nearly free publicity on your own or by partnering with your publisher; The Frugal Editor: Put Your Best Book Forward to Avoid Humiliation and Ensure Success; and Great Little Last Minute Editing Tips for Writers . The Great First Impression Book Proposal is her newest booklet for writers. 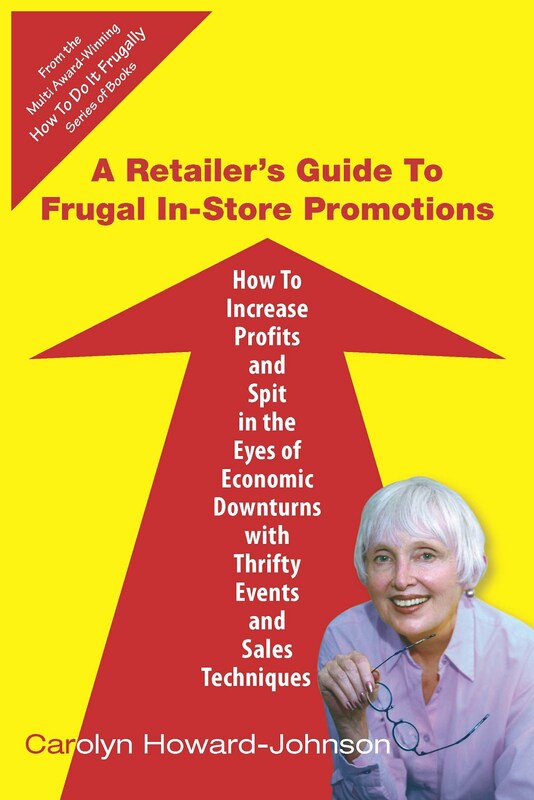 She has three FRUGAL books for retailers including A Retailer’s Guide to Frugal In-Store Promotions: How To Increase Profits and Spit in the Eyes of Economic Downturns with Thrifty Events and Sales Techniques. Some of her other blogs are TheNewBookReview.blogspot.com, a blog where authors can recycle their favorite reviews. 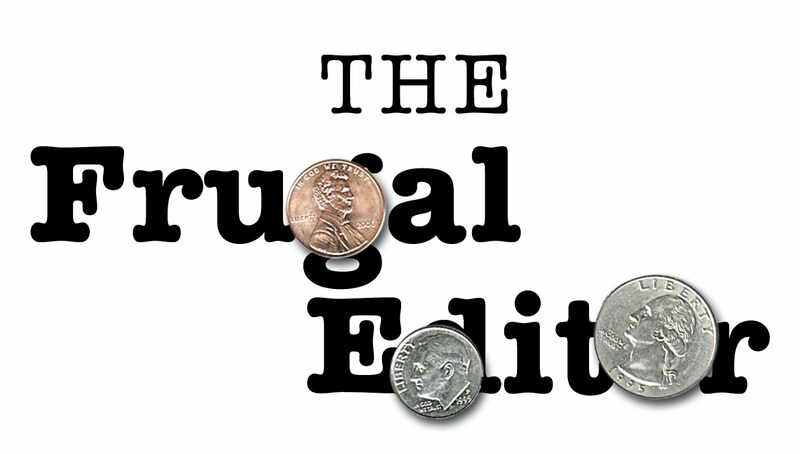 She also blogs at all things editing, grammar, formatting and more at The Frugal, Smart and Tuned-In Editor . Siggy Buckley, author of NEXT TIME LUCKY: How to Find Your Mr. Right. Awesome tips, Valerie! You sure know your stuff.